Master Storytellers guide groups through darkened streets for a historically accurate fun-filled tour full of New Orleans ghost stories and tales of Vampires. Meet your guide at the Voodoo lounge in the French Quarter and prepare yourself for a different experience on this Ghost and Vampire walking tour. 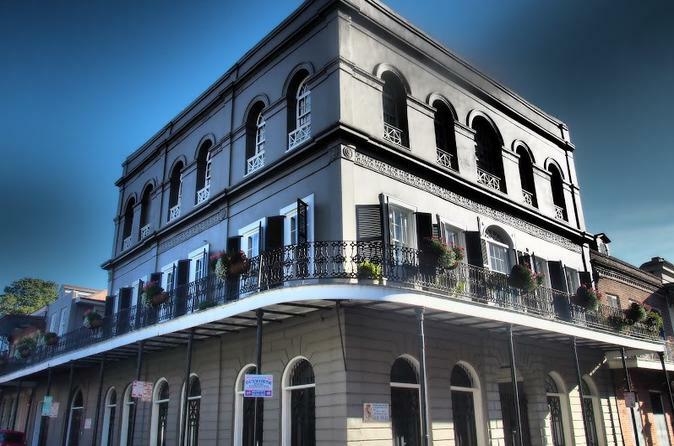 Walking with your tour guide while they share the dark side of New Orleans’ history, hear the real story of Madame LaLaurie, the LaLaurie Mansion and more. Your Ghost and Vampire walking tours are guided by Master Storytellers who are fully licensed by the City of New Orleans. Your guide will provide you with historically accurate information about hauntings and also Vampire lore. Our adult guests may enjoy 2-for-1 Hurricanes during the hour prior to the tour. Your total walking distance on this tour ends up being about one mile so be sure to bring comfortable walking shoes. Once your guide has completed the tour, you will return to the original departure location at the Voodoo Lounge. Special Offer - Book by June 9th, 2018 and save 25% compared to the local supplier's prices! Valid for 6pm tour only. - Book Now!